We have created all conditions for a comfortable vacation, business communications and solemn receptions, that will be highly appreciated even by most pretentious guests. A wide selection of rooms, friendly personnel and service at a level of world standards will make your visit unforgettable. We are ready to divine your desire and make your dreams of exquisite comfort and homeliness come true. 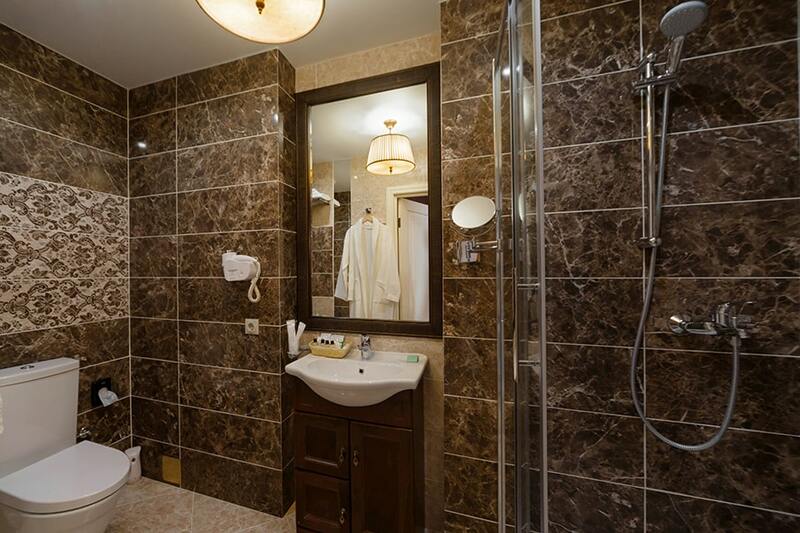 "Onegin" is a significant name in hotel business of Stavropol. We are the best company in the region nowadays. Our experience and qualification are confirmed by numerous awards. In 2018 the complex became the winner of a professional award in three nominations at once. 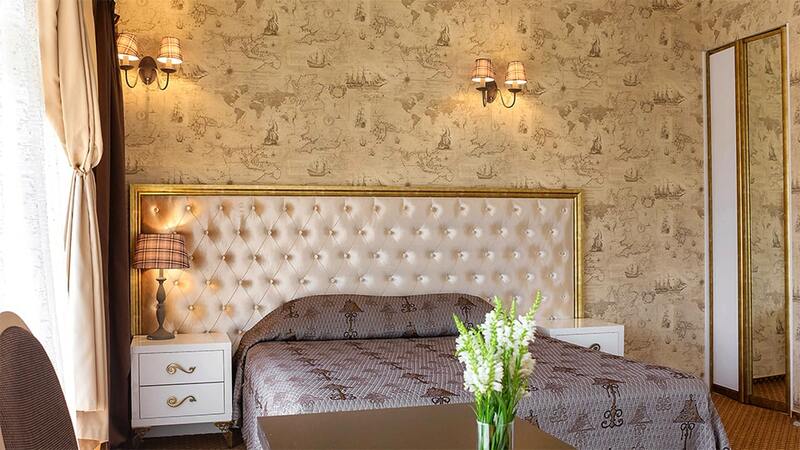 Choose yourself a room in the hotel complex "Onegin" and singly evaluate the excellence of world-class service. 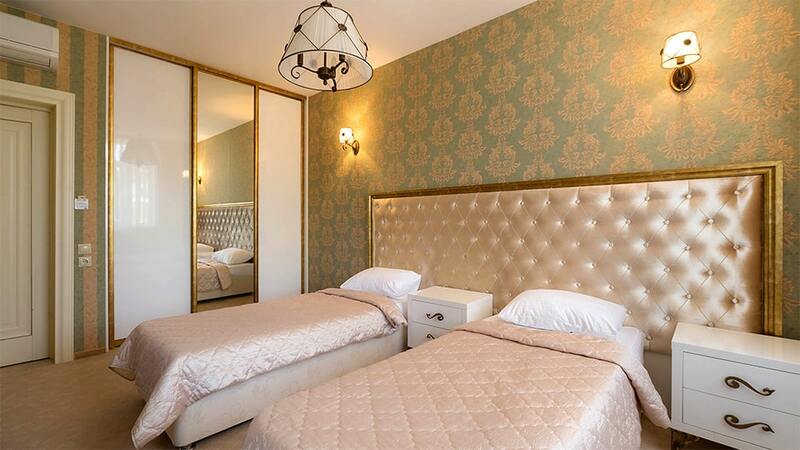 Single rooms of the Onegin Hotel meet the highest international standards. This cozy and stylishly decorated room (16 m²) will be quite a comfortable accommodation. Practical furniture, commodious king-sized bed, a large TV, minibar and a bathroom with a shower will help you to rest and relax. Delicious and omnifarious breakfast, which is included, will be a perfect completion. 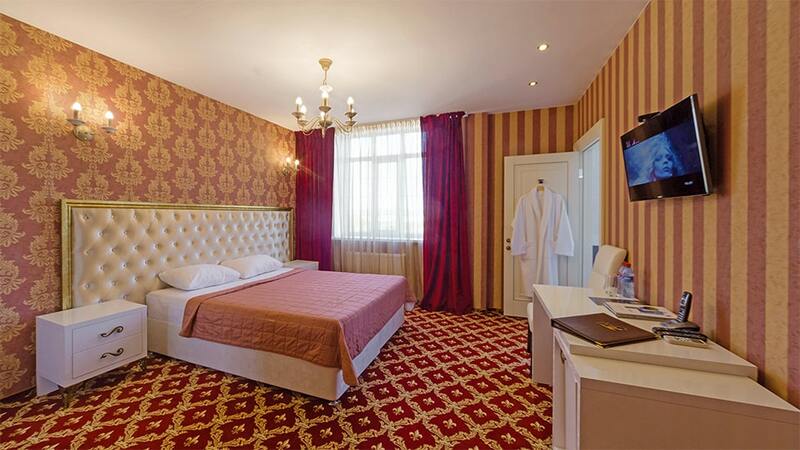 Standard double rooms of the Onegin complex meet all the requirements of world-class hotels. 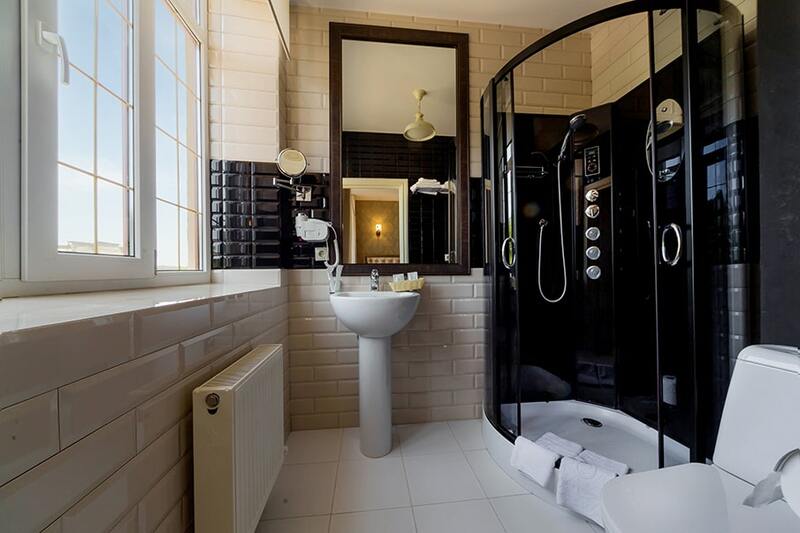 Throughly thought-out, these rooms will ideally accommodate up to 2 guests. You can choose either a room with a king-size or twin bed option. Modern interior design, high-quality furniture, high-class decoration, comfortable bathroom, large TV and minibar evoke a cosy and a comfortable atmosphere, which is ideally complemented by a tasty breakfast from our best chefs. Superior rooms are a great place to relax for those who appreciate comfort and refinement. The laconic classic interior is perfectly combined with practicality. 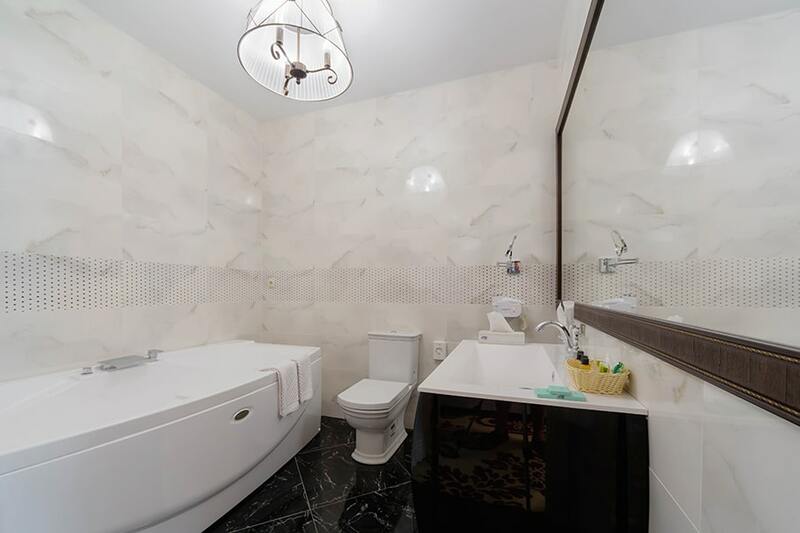 You will enjoy the large bed sized 180x200 cm, spacious built-in wardrobe in the hallway, high-quality imported sanitary ware in the bathroom, a large TV and free internet, a mini-bar and breakfasts are included in the price. The Superior Room is an excellent solution for those who appreciate open spaces (a room of 22 m²), comfort and beauty. 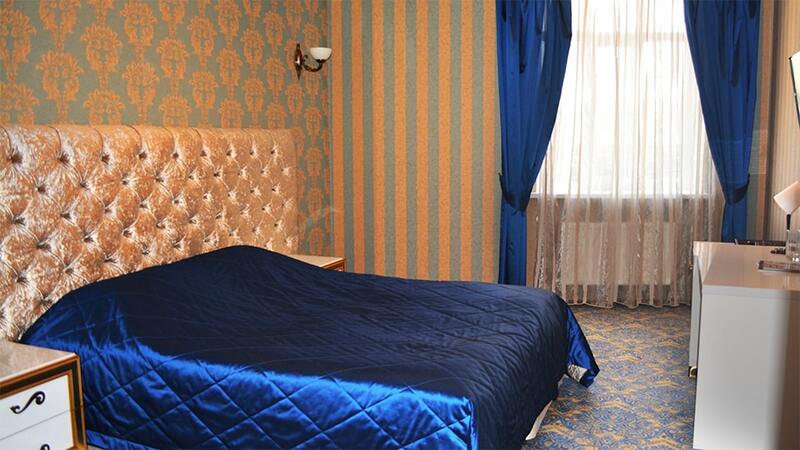 De luxe rooms of the hotel complex «Onegin» are a real classic of the tourism industry. Spacious rooms are distinguished by modern design and increased comfort. A king-sized bed (180x200 cm) will help you to get a good night's sleep, a large TV and a free Wi-Fi will allow you to escape from a rough day, a comfortable work area will give you an opportunity to work a little in a relaxed atmosphere. 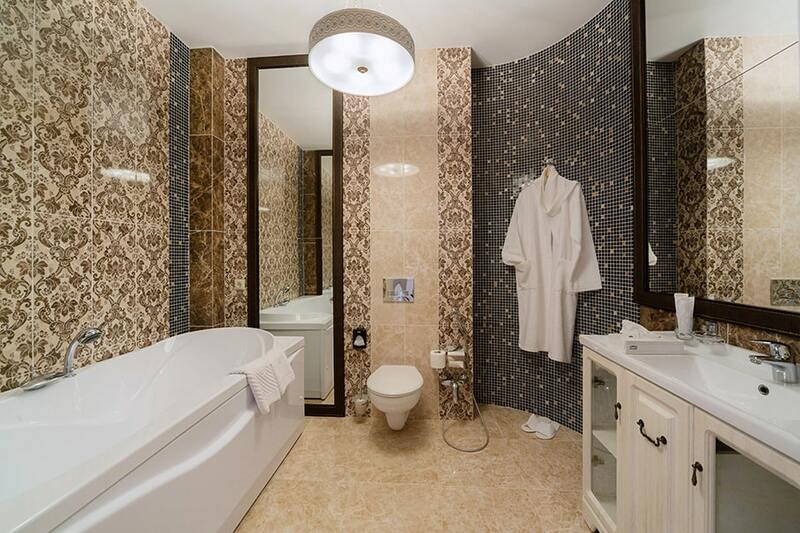 We are sure, you will enjoy our well-equipped bathroom and a mini-bar. Stylish and spacious Junior Rooms are created for the most demanding guests. The elegant design of this studio, combined with panoramic windows, where a beautiful view opens up, will allow you feel the cozy atmosphere of modern apartments of the highest level. You will appreciate the comfort of the King-Sized bed and a large leather sofa, widescreen TV and a coffee machine. The format "Junior" assumes the presence of a full bathroom and dining area, in addition, if you wish, you can choose the option with your own balcony to drink coffee or relax in the fresh air without leaving the room. 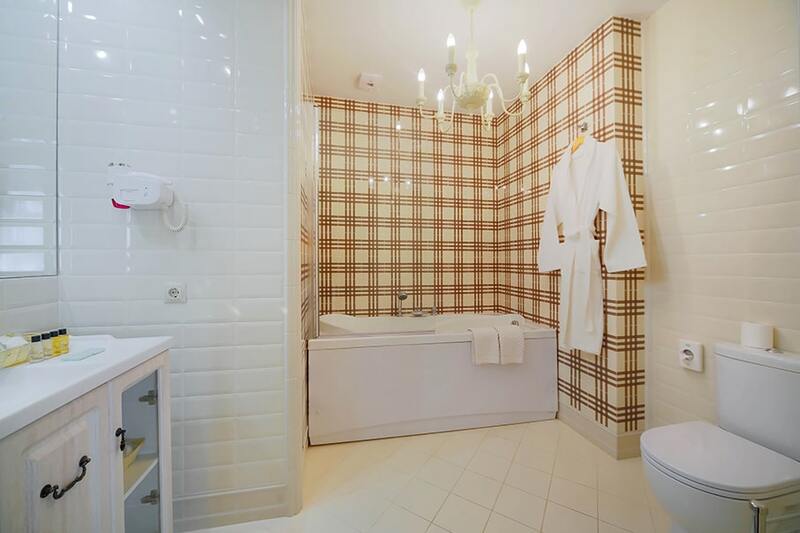 The family rooms of the Onegin hotel complex are a perfect example of modern, comfortable apartments. 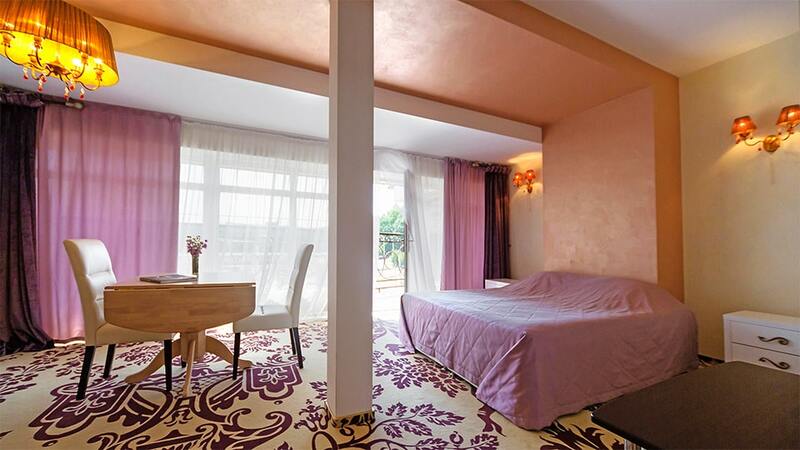 On the area of 52 m² you will find a bedroom and a living room, which boast a stylish design and maximum practicality. The room is perfect for a comfortable accommodation of 3-4 people. You can add a baby cot for your baby near the large comfortable king-size bed (180x200 cm). A large free space in the living room, a leather sofa, a work space and a full-fledged bathroom will allow you to relax, work calmly or find a place to play with your child. Plasma TV, coffee machine and a great breakfast will complement the idyll of your stay in our hotel complex Onegin. Grand luxe is a room for those who admire luxurious holidays. 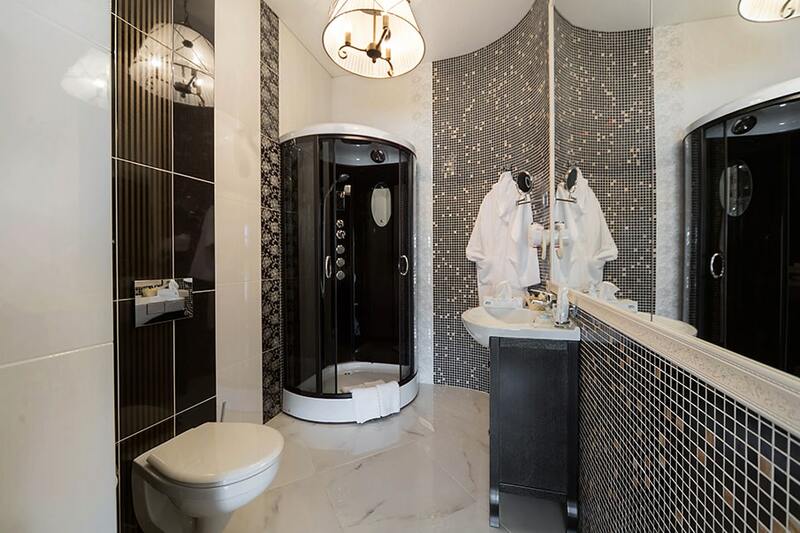 The design interior of this apartment is specially created for those who seek romance and luxury. The real punch line of the room is a round king sized bed with a classic canopy. The decoration of the room complements the luxurious sofa with delicate velvet upholstery, where you can sit comfortably in front of a large TV. This room is perfect for private meetings or a first wedding night. A beautiful view of the city which opens through the panoramic windows will add more romance. The served dining table will allow you to order a festive dinner or to have breakfast in your room.